Much as we love Elizabeth McGovern and have always been puzzled as to why her career in Hollywood stagnated to the point she had to move to England—which is akin to heading up the 101 freeway in reverse, northbound rather than south, as one should—like everyone else we know that Downton Abbey is really Maggie Smith‘s show. She is even threatening not to come back next season, which might just be the sort of haggling maneuver worthy of her character, Violet. Or she might be sick of being strapped into a corset and gowns made out of heavy drapery material. 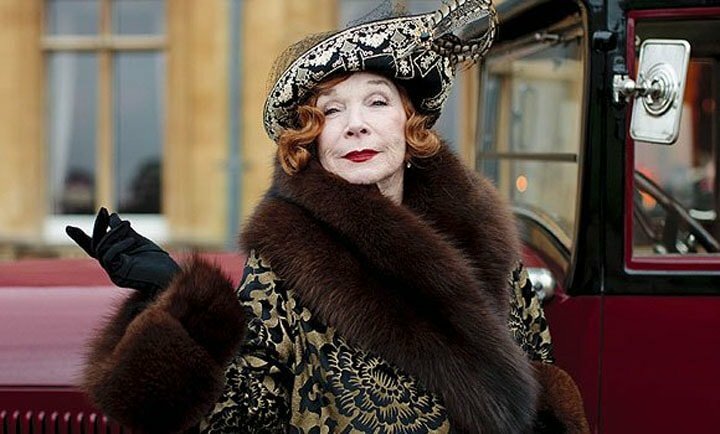 DAME Maggie Smith provides the kindling but it is American film icon Dame Shirley MacLaine who lights the bonfire under her vanities in season three of Downton Abbey. In an exclusive preview of the new season to journalists in London this week, the anticipated on-screen showdown delivered not only delicious claws-out fireworks, but an unexpected and intelligent challenge of long held beliefs between the two. “But isn’t she American?” asks Matthew.